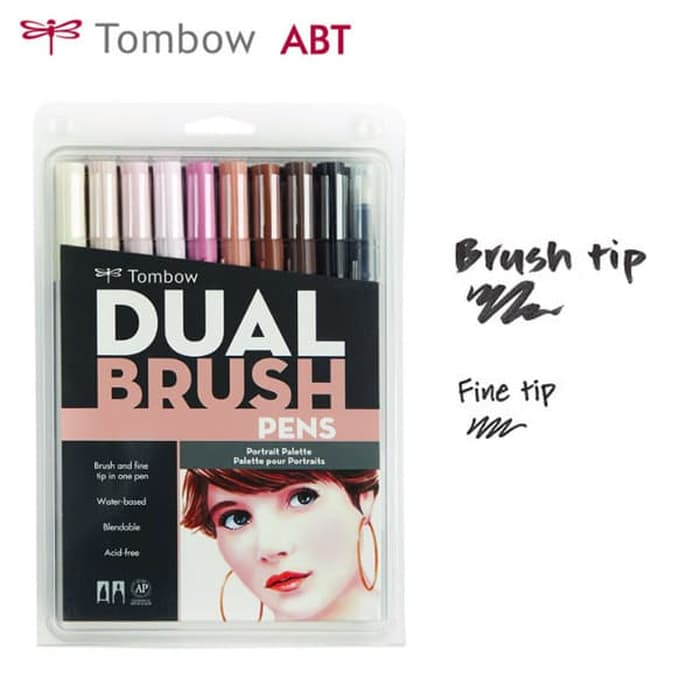 Tombow's Dual Brush pens are available in a dazzling array of colors, and are appreciated by fine artists and crafters alike for good reason. They are wonderful for illustrating, drawing, rubber stamping, and other artistic endeavors. Each pen has two tips, a high-quality flexible nylon fiber brush tip and a fine bullet tip. Use the brush tip to create fine, medium, and broad strokes. It is resilient, retaining its point even after extensive use. For consistent fine lines, the sturdy fine tip is ideal. The water-based ink blends easily with other colors, and it is acid-free, non-toxic, and odorless.